Dubbed the largest smartphone event in the world, the Mobile World Congress (MWC) will be happening in the next few weeks. LG will be unveiling its latest flagship device, the G8 ThinQ. The upcoming phone from LG is expected to be slightly inspired by Apple. Indeed, the G8 ThinQ will come with a feature based on Face ID called the Time of Flight (ToF) technology. The South Korean brand has partnered up with Infineon, a microelectronics company, to make this possible. What does the new technology offer? The Time of Flight technology to be present in the G8 ThinQ primarily ensures a higher quality of selfies and facial recognition. It uses infralight to obtain accurate measurements and determine the distance of an object. 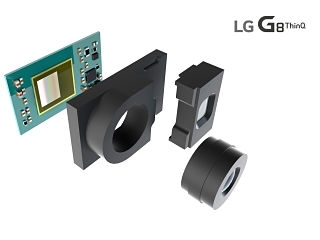 The chip will be implemented to the front camera and the main specs of the LG smartphone are yet to be announced. The G8 ThinQ is not the only mobile featuring the sensor. Indeed, Huawei has implemented it in the Honor View 20 and it is situated on its back camera. Furthermore, the chipset which will be integrated to the smartphone is rumoured to be the Qualcomm Snapdragon 855. The device could also feature touchless gesture controls. Taking place in Barcelona, Spain, the Mobile World Congress is expected to introduce an array of phones. Representatives from brands such as Huawei, HTC and Google will also be attending.